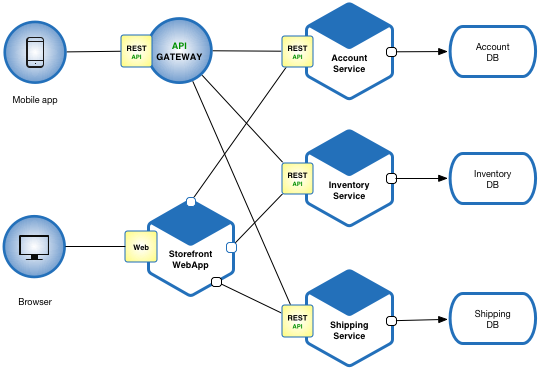 Define an architecture that structures the application as a set of loosely coupled, collaborating services. This approach corresponds to the Y-axis of the Scale Cube. Each service implements a set of narrowly, related functions. For example, an application might consist of services such as the order management service, the customer management service etc. Let’s imagine that you are building an e-commerce application that takes orders from customers, verifies inventory and available credit, and ships them. The application consists of several components including the StoreFrontUI, which implements the user interface, along with some backend services for checking credit, maintaining inventory and shipping orders. The application consists of a set of services.